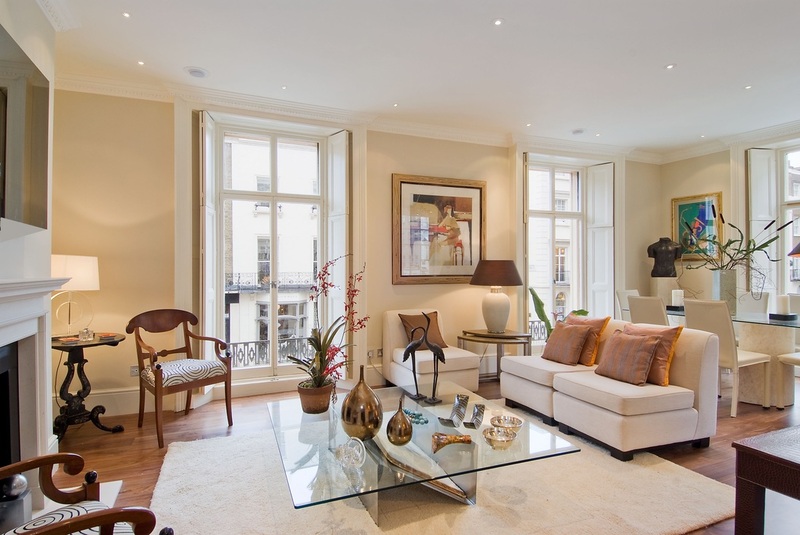 Project Overview: ​This boutique builder specialises in the 'Belgravia Village' in SW1 and wanted a discrete multi-room solution with a select number of ‘wow factor’ features to ensure that the prospective purchaser fell in love with this £4M, 134 square metre property. 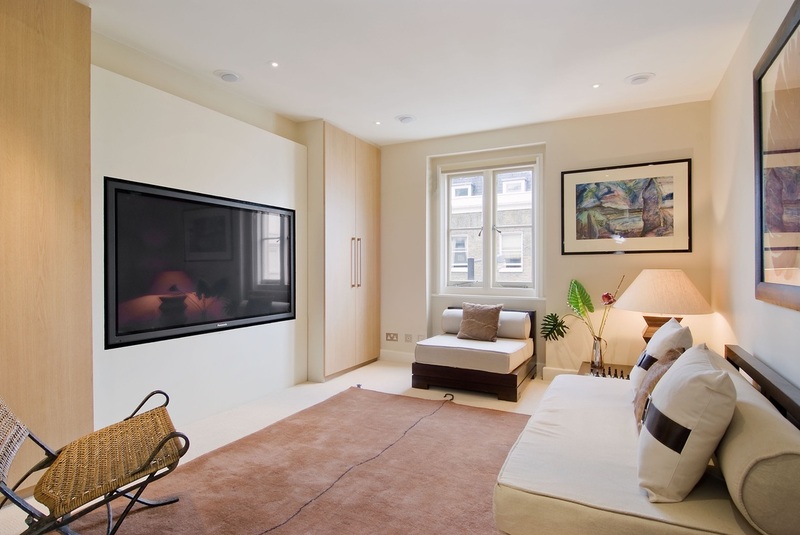 The list included the latest Mirror TV hidden in the Lounge, a dedicated Home Cinema room with 65 inch television including a remote controlled black out blind, with of course multi-room audio throughout. The budget was £40,000. Security: For security reasons, three cameras needed to be viewed on any TV in the house - including the two luxury bathrooms! And of course there was a door entry/colour camera system on both floors. Audio: We sourced two new miniature subwoofers for this project, each a diminutive 30cm cube, which although they disappear from view behind the sofas, produce over 1000 watts of peak bass output - when required! All rooms have audio with the music library stored on a central Music Server. Once again the speakers used throughout are the sealed, in-ceiling, eyeball Morel’s – providing high fidelity sound quality and minimal sound leakage to other rooms or adjacent properties. Control: Finally, control was via a wireless remote with the music in each room individually adjustable - or at the push of a button, changed into "party mode" with all the desired rooms linked together. Centralised: All the equipment is located in a central rack for both ease of maintenance and also as a subtle feature in the Reception Room!